2. Enter a title for the session. 3. Select the spoken language and the languages you know you plan to serve. If you want to make other languages available on demand, toggle on the option to Allow audience members to activate additional channels if needed. 4. Assign resources to the session. If you have a playlist already created, select it in the dropdown. Otherwise, create the playlist after finishing with creating the session. 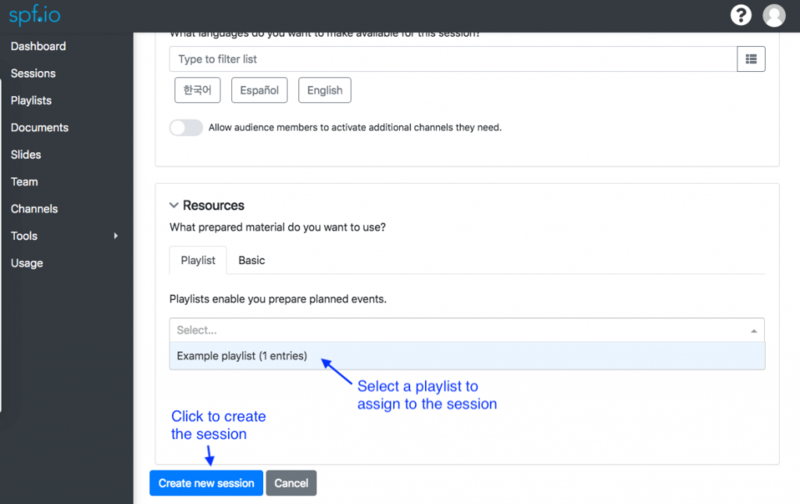 Then return to the session editor and assign the playlist. 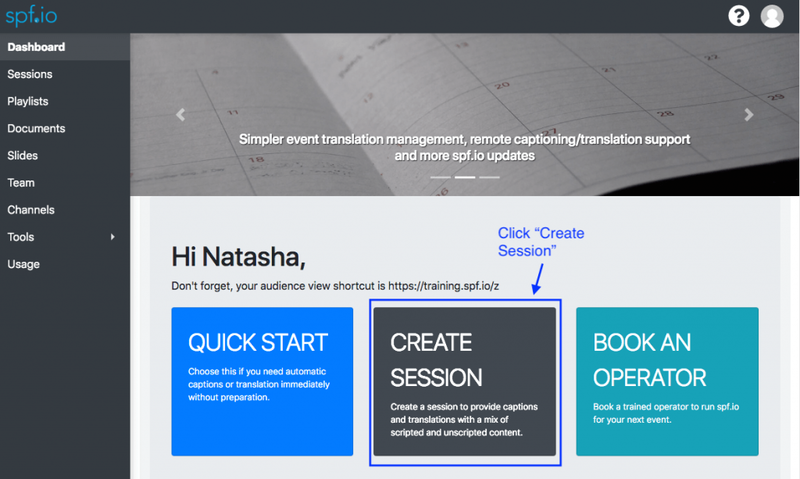 If you have just one document or one slide to assign to the session, click the “Basics” tab and assign them. 5. Click “Create new session”.